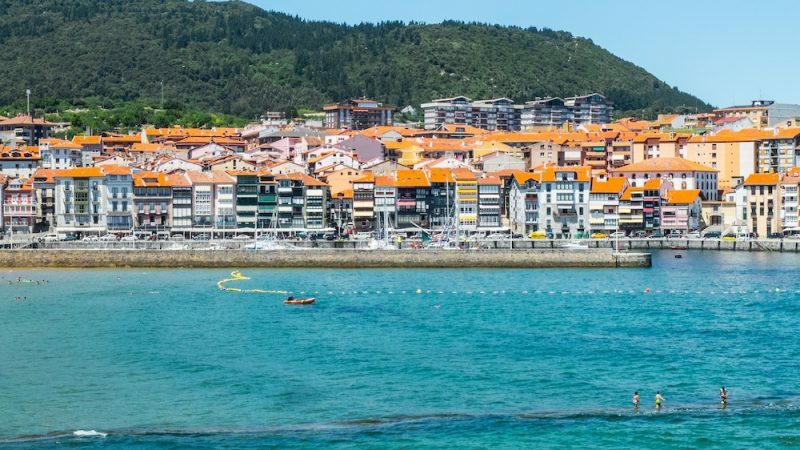 Little Lekeitio in the Basque country is one of my favorite hidden gems in all of Spain. 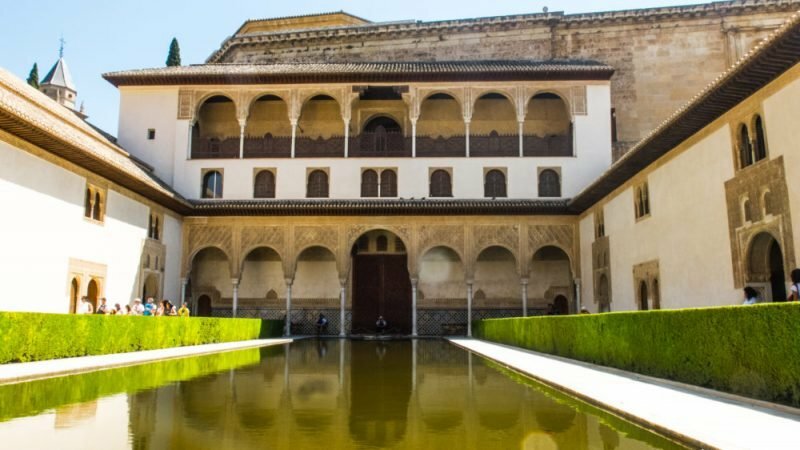 About an hour outside of the larger Basque cities of Bilbao and San Sebastián, this quiet town is home to not one but two of Spain’s loveliest beaches. 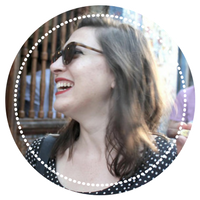 There’s not a ton going on in Lekeitio, but it has its charms. 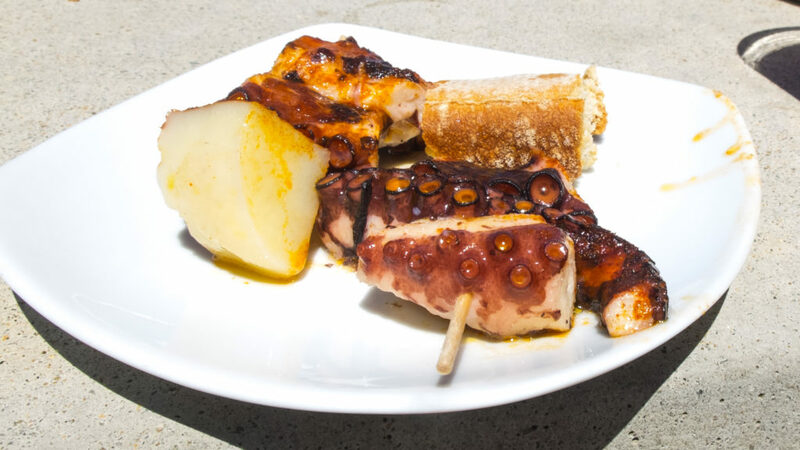 Lots of bars restaurants dot the main road on the way to the beach, specializing in Basque ciders, txakoli (young white wine), pintxos, and – of course – fresh seafood. 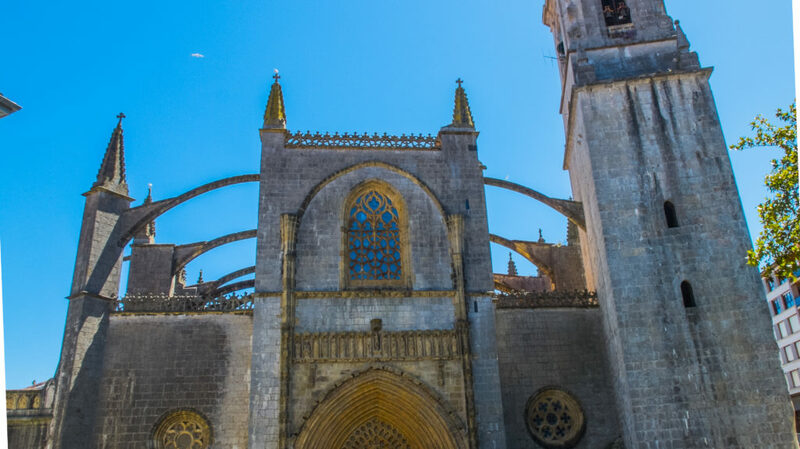 There is a beautiful gothic church quite close the beach, with intriguing arches that look almost like the ribcage of a whale. 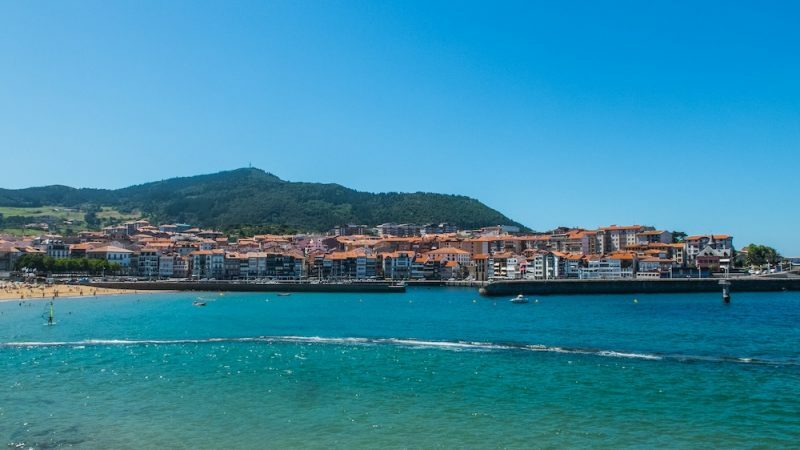 As you walk past the cathedral, you’ll soon be gifted with views of Lekeitio’s first beach and its picturesque harbor. 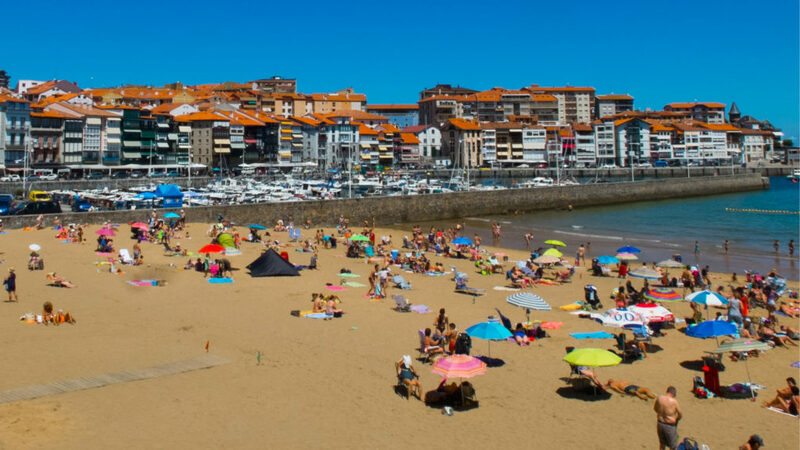 When I was in Lekeitio, it was in one the Basque country’s rare heat waves, so it seemed like everyone was on the beach. 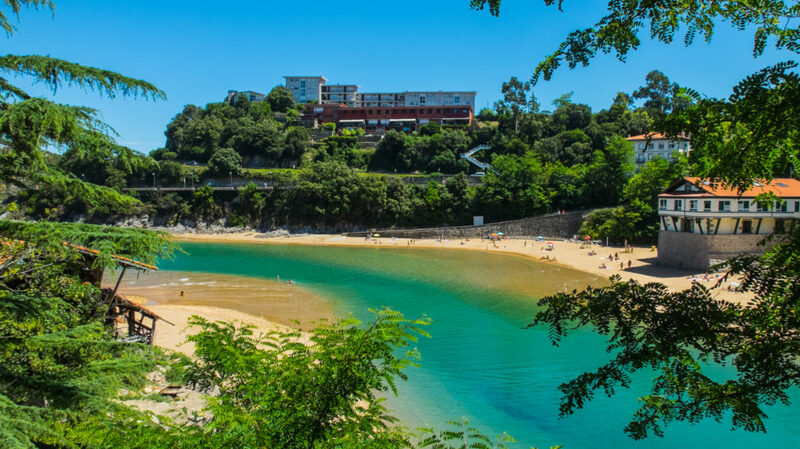 Granted, considering that July’s average high temperature is approximately 75F (24C), Lekeitio’s “heat wave” was more like my Californian’s idea of a pleasant sunny day. 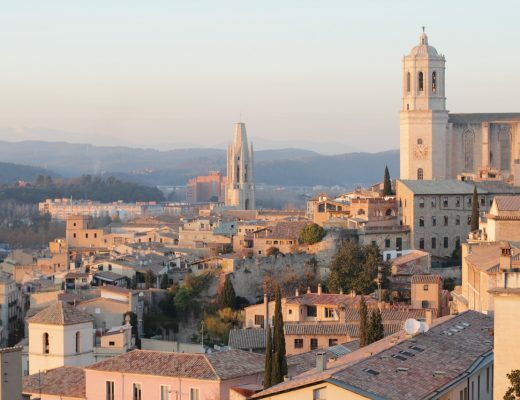 But as is often the case, walking a little further afield will reward you leaps and bounds. 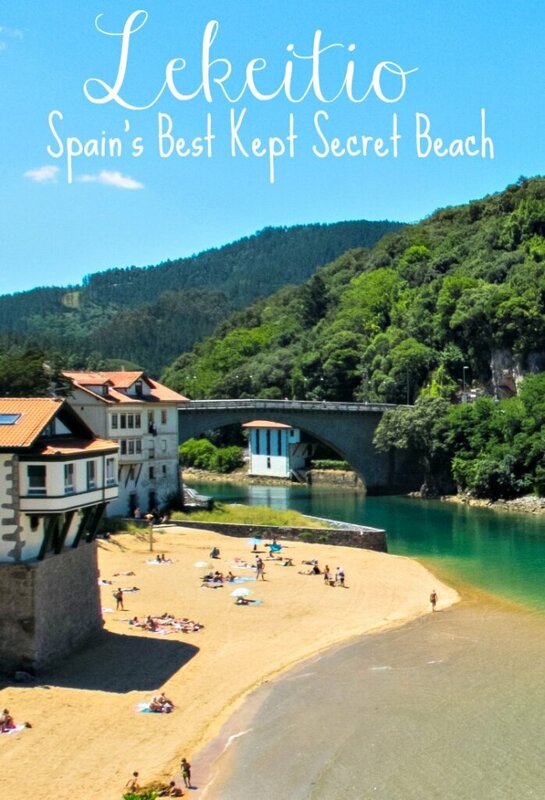 Walk past the beach and you’ll see this magical little vista open up, with turquoise water that seems more befitting the Caribbean or Southeast Asia than Northern Spain. As you walk towards the bridge, there’s an opportunity to walk down to a little rental shop, where you can rent a kayak or a stand-up paddle board. Looking back, I wish I had spent more time in Lekeitio, so I could have rented a kayak and explored this view even further. But make sure you turn back to look at this view! After walking maybe ten more minutes, you’ll arrive at Karraspio beach, which is the quieter and lovelier of the two, in my opinion. 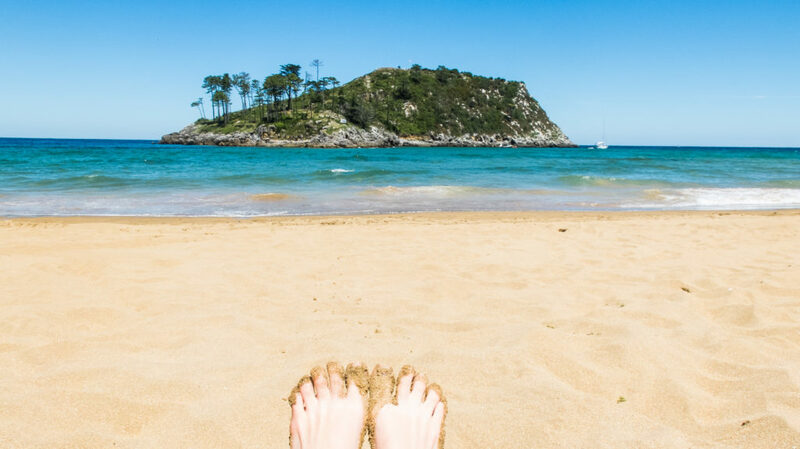 You have a perfect view of Lekeitio’s tiny San Nicolas Island, which is easily swimmable or even walkable during low tide. 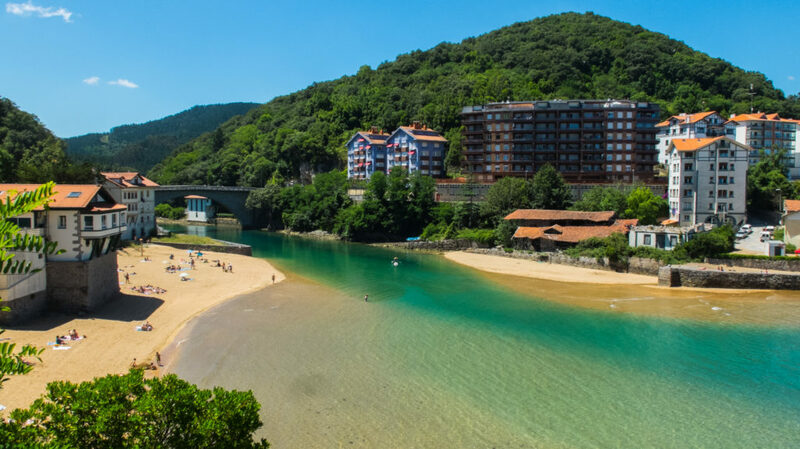 Besides having a lovely view of the small island, you’re also directly facing Lekeitio’s colorful harbor. You can also see the first beach clearly and even watch as people appear to walk on water on the small pathway leading them towards San Nicolas Island! Total Jesus vibes. And when all this beauty gets to be too much…. 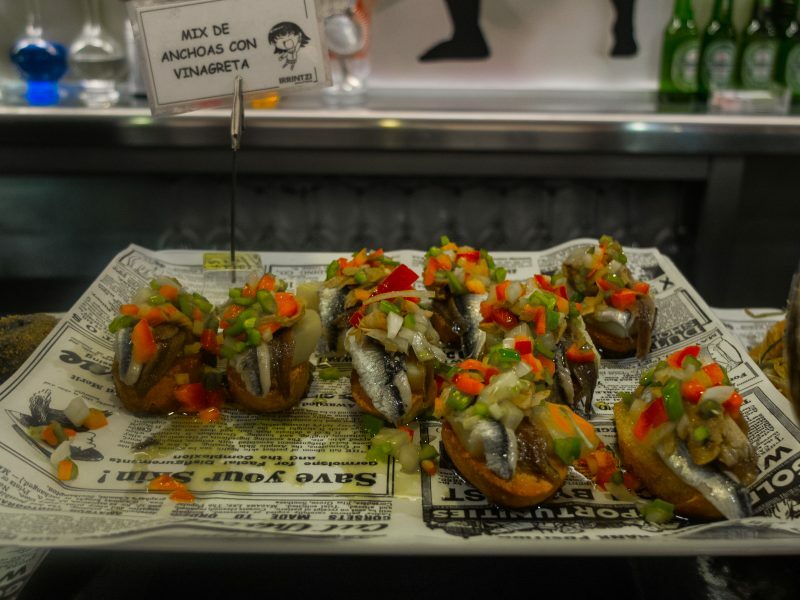 This being Basque country, pintxos are never far away.